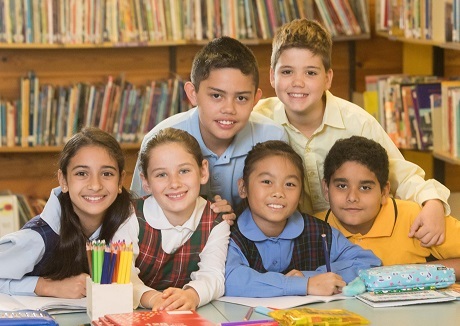 Children’s education charity, The Smith Family, has launched it’s 2018 Winter Appeal to raise much needed funding for education support programs to help disadvantaged Australian children to stay at school. 2018 marks 30 years since the organisation shifted focus from emergency assistance to education support. This year, The Smith Family’s Winter Appeal needs to raise $4.1 million by 30 June 2018, to deliver life-changing learning and mentoring programs for nearly 10,000 Australian children. With one in seven¹ Australian children and young people living below the poverty line, this support is more critical than ever. need. At that time, we asked the families we were assisting in highly disadvantaged communities what kind of help they most wanted. Our research revealed the major concern for these families was the education of their children. Dr O’Brien says the extent of poverty in Australia is not well understood and that supporting children’s education over the long term is the most effective way to tackle this problem. “That’s why we are calling on the Australian public to help us reach more children. The out-of-school learning and mentoring programs we provide give young people the skills and motivation to stay in school and see the value of finishing Year 12 to open up more opportunities for themselves. That little bit of extra support and encouragement can be life-changing for these children,” Dr O’Brien said. Funds raised through The Smith Family’s Winter Appeal will help nearly 10,000 disadvantaged children access a range of literacy and numeracy programs – such as student2student, which helps young students improve their reading skills by pairing them with older ‘reading buddies’ – as well as after-school Learning Clubs and the iTrack online mentoring program. “With the assistance of volunteer tutors, programs such as our Learning Clubs help improve students’ grades – and as their grades start to improve, so does their attendance and likelihood of completing Year 12. We know that if we can help students finish school, this in turn leads to better job prospects, the security of regular income and the skills to participate fully in society,” Dr O’Brien said. 1. Poverty in Australia 2016, Australian Council of Social Services and the Social Policy Research Centre.